Would you like to add your article to this list? Email it to us at iss@shibori.org. Surface Design Association. Astrid H. Bennett, Kim Eichler-Messmer. "International Shibori Symposium 2018 Review (Part I)". 6 August 2018. Surface Design Association. Astrid H. Bennett, Kim Eichler-Messmer. "International Shibori Symposium 2018 Review (Part II)". 8 August 2018. 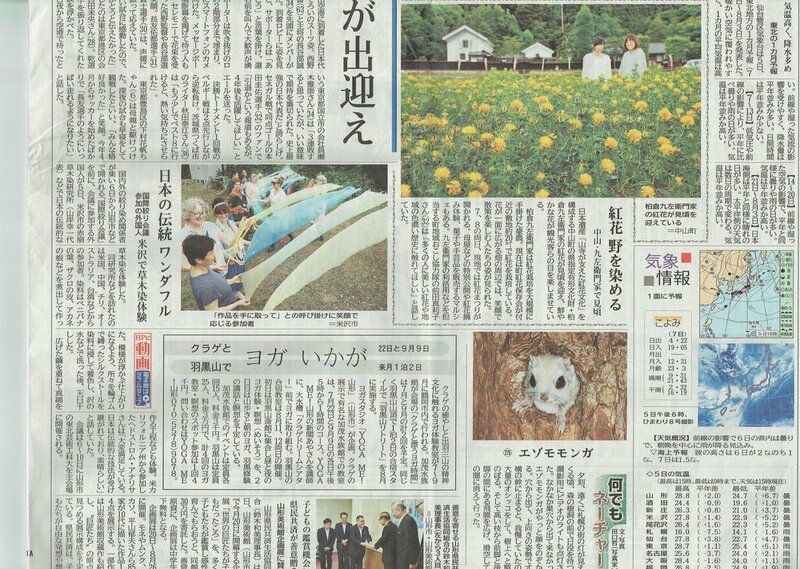 Yamagata Newspaper (山形新聞). "Japan's Wonderful Traditions (日本の伝統ワンダフル)". p. 26. 6 July 2018. Bennett, Astrid H. "11ISS In Japan: Part 1 – 6". 16 July 2018.